Well hidden in an old factory among relics of rusted machinery, Darkstar83 introduce us to his dark ambient world with fantastic soundscapes full of ominous and grim feelings. 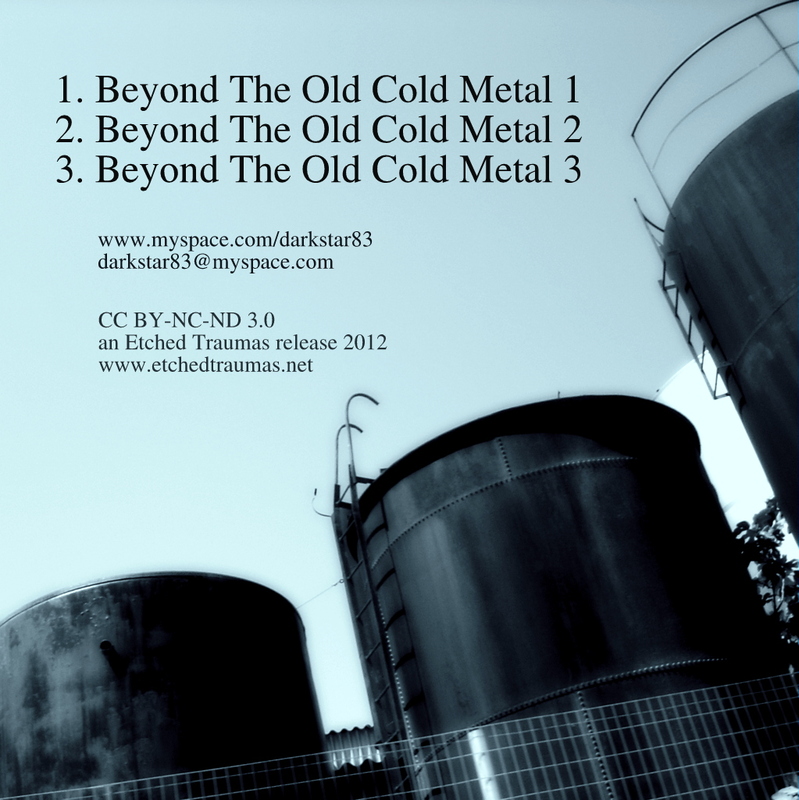 In 'Beyond The Old Cold Metal' he fuses the genre he loves with organic cosmic textures and elements. Sparkles, machinery sounds, burnt wood, leakage sounds, distant horns; everything's here to create a meditative work. Darkstar83 is the one-man-project of Kostas Konstandinidis from Greece. Darkstar83 started composingmusic in 2009 using computer software and midi synthesizers. One can file his music under minimalistic ambient, but sometimes he injests experimental elements using fast and slow rhythms. The formed soundscapes introduce you to the melancholic atmosphere of Darkstar83's mind, of dark images of space and of very personal feelings. Kostas says: "I cannot read music at all, and I can only play by ear". He suggests listening to his tracks using earphones with flat equalization, so that the atmospheres on which the pieces are built, become perceptible.